Choosing your new spectacles may not be easy and a diificult decision to make. For many people, their spectacles may be worn all day, every day. For this reason it is very important to find the frame that is not only comfortable to wear but also one that suits your sense of style. Our qualified Dispensing Opticians know their products very well and are experienced in helping you choose your new spectacles. Whether you prefer to have one-on-one help or prefer to browse alone our dispensing team will provide you with the service and time you need. They will be on hand to give you advice on what frames suit you best and also what is appropriate for your for prescription. They will be also able to recommend the lens type that is best suited to your prescription and lifestyle needs. The simplest form of glasses or contact lens is the single-vision lens, made to a single prescription to correct a particular eyesight problem. The curvature of the lens, its thickness and weight will depend on the amount of long or short sight it is designed to correct. The lens material will also influence the thickness and weight of your lenses, as will the size and shape of the glasses frame you choose. Most lenses are made of lightweight plastic and there is a wide range of materials available to suit your prescription and lifestyle. If you need high-powered lenses you can improve the weight or appearance of your glasses with special lens materials and designs. High-index materials and aspheric designs mean that lenses can now be made thinner, lighter and better looking than traditional lens types. High-index materials make lenses for short sight thinner, while aspheric designs that minimise the amount of material make lenses for long sight both thinner and lighter. Glasses lenses can be provided with anti-reflection coatings which virtually eliminate distracting reflections off the lens surfaces. Reducing reflected light is particularly helpful for computer users and for night driving. Anti-reflection coatings also improve the cosmetic appearance of your glasses and can make thick lenses look thinner. Reflections from lenses make them more noticeable. Internal refractions within the lens can result in distracting reflections and “ghosting”. These are particularly noticeable in bright sunshine or driving at night. Also, bright objects behind you can be reflected back into your eye creating a distracting double image. These reflections can be reduced by applying a special anti-reflection coating to the lens. This not only makes the lenses look more transparent but also helps to get rid of distracting reflections. It can also be beneficial when driving, particularly at night. Plastic lenses are lighter than traditional glass lenses but they scratch more easily. Scratch-resistant coatings are available to protect against damage and prolong lens life. Plastic lenses are nice and light but do tend to scratch quite easily. These scratches will reduce the quality of your vision through the lenses particularly under some conditions – like driving at night. To help protect your lenses, a thin coating can be applied to the lenses. This will help to keep your lenses in tip-top condition for much longer. Multi-coated lenses incorporate a combination of coatings – anti-reflection, scratch-resistant, water repellent and ultraviolet protected – to combine to improve the properties of your glasses. 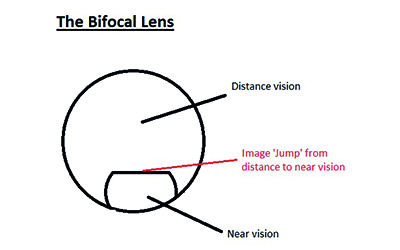 Bifocal lenses contain two optical corrections with a distinct dividing line between the two parts. Most bifocals are for people who have become presbyopic (inability to focus on nearby objects) and need a different prescription for close work. The upper part of the lens corrects distance vision and the lower half is for near vision. You can also get trifocals that have three sections and incorporate a correction for intermediate vision. Bifocals and trifocals come in a range of designs. Most people over the age of about 45 who wear glasses for distance gradually find it more difficult to focus on near objects. Reading becomes more difficult and they also require reading glasses. These are great for reading, but make everything in the distance blurred. One solution is to wear bifocal lenses. The top of the lens allows you to see in the distance while the bottom of the lens gives you clear near vision. 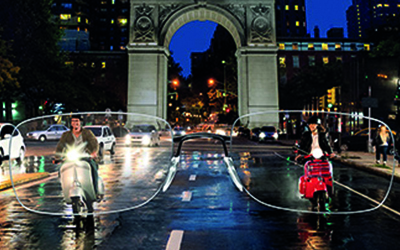 This gives you clear distance and near vision in one pair of glasses. Increasingly, however, varifocal lenses are much more likely to be prescribed. Varifocal lenses, also known as progressive lenses, are used for correcting presbyopia but unlike bifocal lenses have no visible dividing lines between the different corrections. Instead, they have a graduated section in which the power of the lens progresses smoothly from one prescription to the other, allowing the wearer to see clearly at all distances. Most people over the age of 45 who wear glasses for distance have increasing difficulty focussing on near objects. One solution is to wear plain reading glasses. These are great for reading, but when you look up, everything in the distance is blurred. Bifocal lenses partly solve this by having a distance and a reading portion in one lens. However, some people do not like the visible appearance of the two lenses and objects at mid distances may still be blurred. 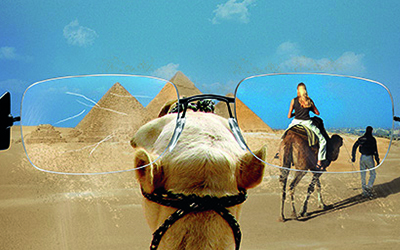 Progressive lenses are much more attractive to look at and give clear vision over a range from distance to close up. 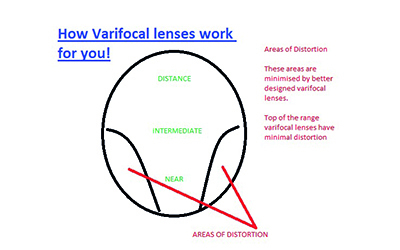 A range of varifocal designs is available depending on your lifestyle and occupation. Lens technology means that there are many different designs and materials to choose from. Your optometrist or dispensing optician will be able to advise you on the best lenses to suit your individual requirements. Book or contact us in advance for specialistic visits. Just downloaded the awesome @leaveplannerxl for Free. Need a more advanced leave management solution? Try http://t.co/EAwfknDmCO for free! The Optical Shop and A I Jones website is live!